Alexandra Rostovtseva, Co-Founder and Business Manager at GBKSOFT, is the latest interviewee for our mobile app development company video interview series. Check out what she had to say about GBKSOFT and helping clients with their own ideas. 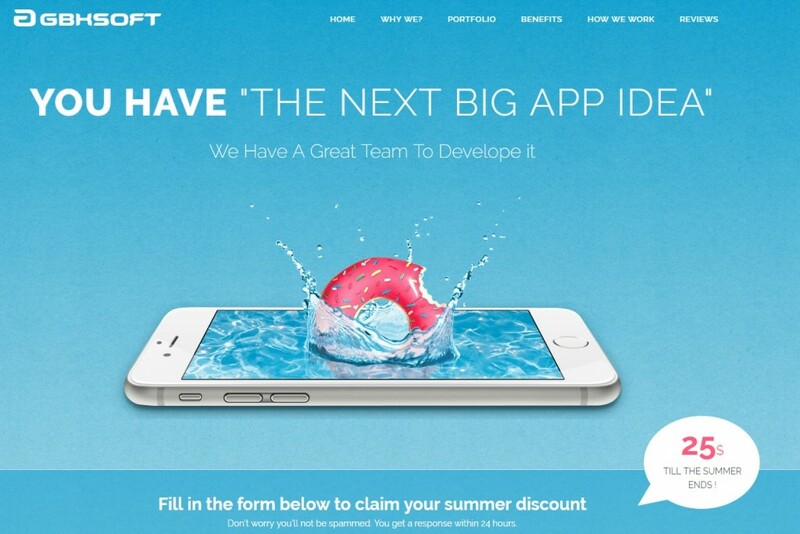 GBKSOFT is a team of web and mobile development with two offices in Ukraine and 5 years of experience that have allowed them to learn the development process in a clear and transparent way. 60 experts and developers provide high quality products and contribute with their own ideas. As Alexandra says, everything makes them different from other mobile app development companies. GBSOFT offers a new level of management and development. They contribute on the project, brainstorm, build relationships... They become a family you can rely on. 70% of projects released by GBKSOFT become successful businesses. Social media, geolocation based apps, chat, utilities or media apps are just some of their strengths in mobile app development. GBKSOFT has the right team and they're up for challenges like photo recognition, speed measures and the most difficult algorithms. By outsourcing mobile app development projects, clients get affordable and qualified teams with commitment that will keep your intellectual property safe at a minimum risk. Alexandra believes that any business should go mobile. It does not matter if you are a farmer or a big media company, give your idea to GBKSOFT and consider it developed. Watch the interview to know all the details about GBKSOFT and visit their mobile app development company profile on AppFutura. If you want to discuss about mobile app development projects or any other interesting topic for developers, you can post it in our mobile app development forum.